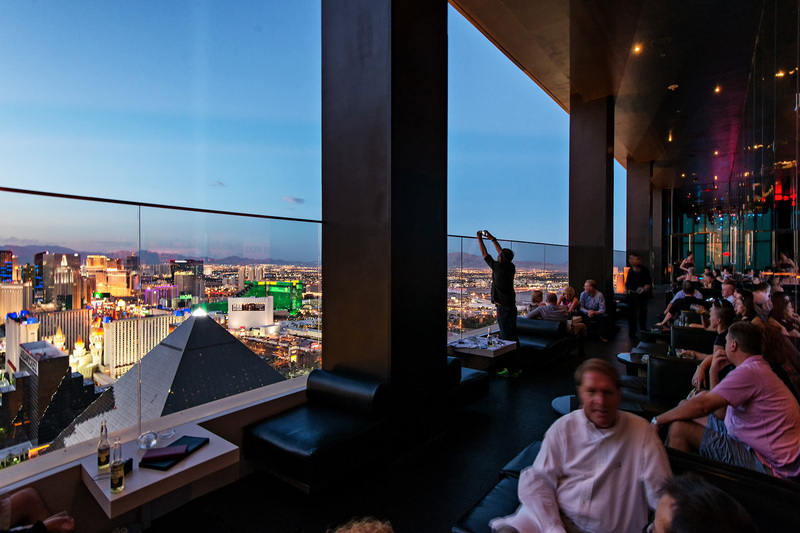 One of the most fashionable hot spots in Las Vegas, the MiX, located at the high atop of THEHotel in the Mandalay Bay Resort, offers one of the best experience in fine dining along with an amazing view over the strip and Las Vegas. 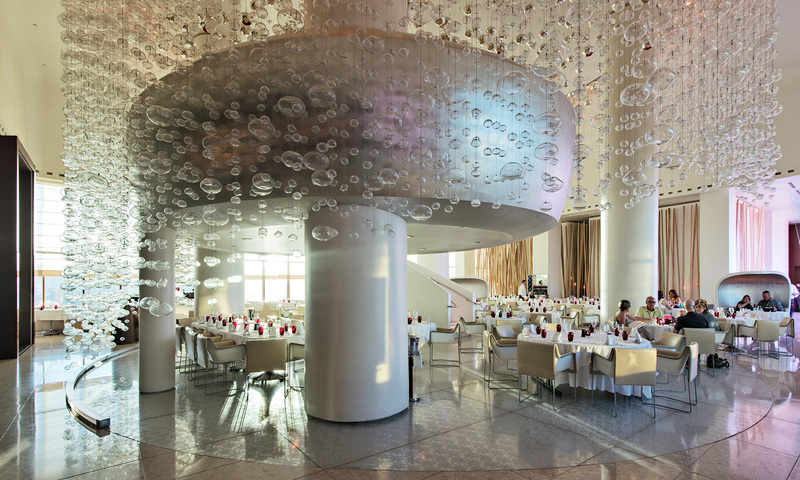 Once you step off the elevator at the 64th floor, you will be enchanted by the design of the restaurant. Featuring a Murano Glass chandelier made up of 15,000 glass spheres, reminiscent of the bubbles found in a glass of champagne. The award winning restaurant, imagined by renown french chef Alain Ducasse and designed by French avant-garde designer Patrick Jouin, offers one of the best experiences in fine dining in Las Vegas. 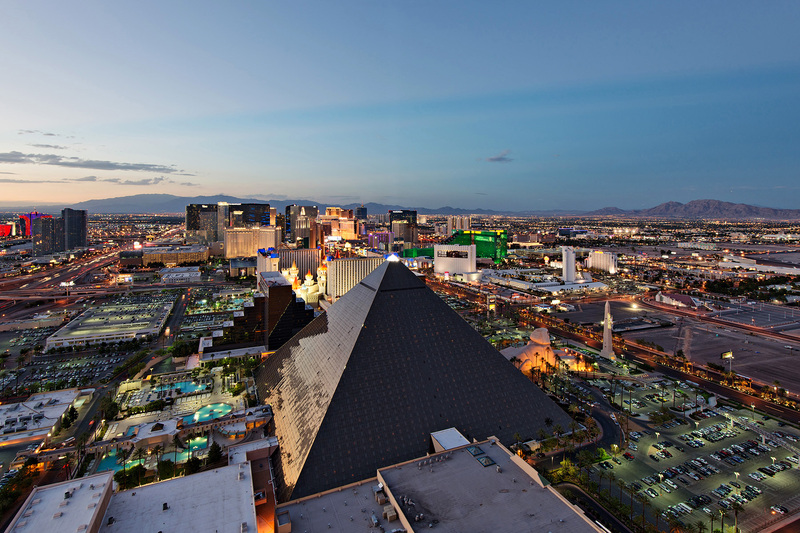 Once you’re done eating or if you simply are looking to enjoy a drink with friends in a relaxed atmosphere, step out on the balcony of the MiX lounge for a stunning view over Las Vegas, the Louxor Casino/hotel and the strip. The lounge offers an innovative bar menu on backlit tablets and a tasty selection of cocktails. 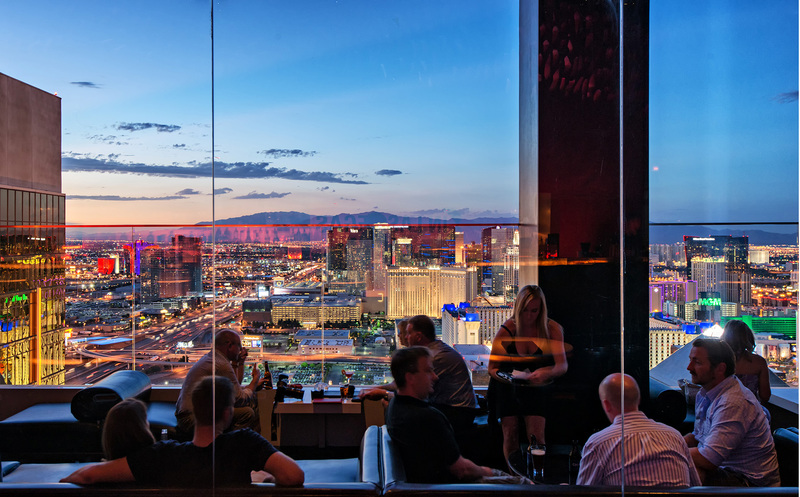 So when you’re in Vegas, make sure not to miss out on a great night of fine dining and on the best view over Las Vegas, I certainly had a blast there capturing the city! Amazing view of the Vegas Strip from the Mix. I’ll definitely check out on my next visit. 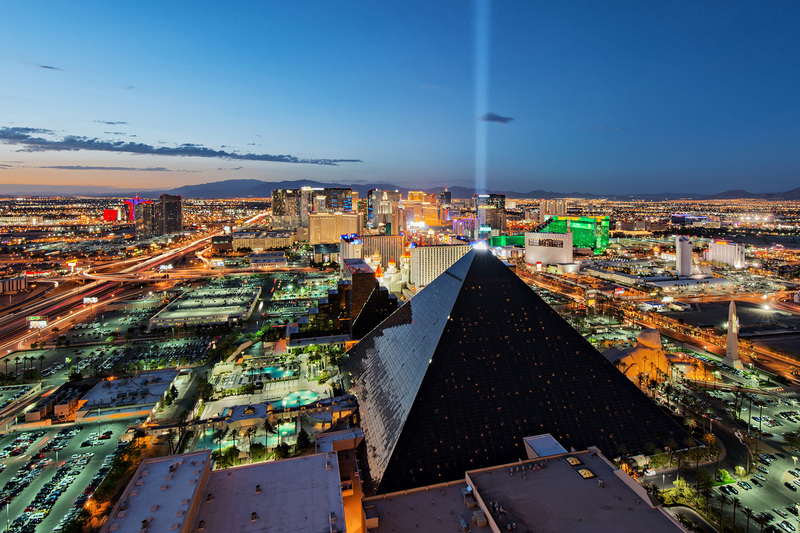 Some amazing photos of the Vegas Strip. They make me want to hop in the car and take a road trip.